Attending the "Letting Go" Seminar? 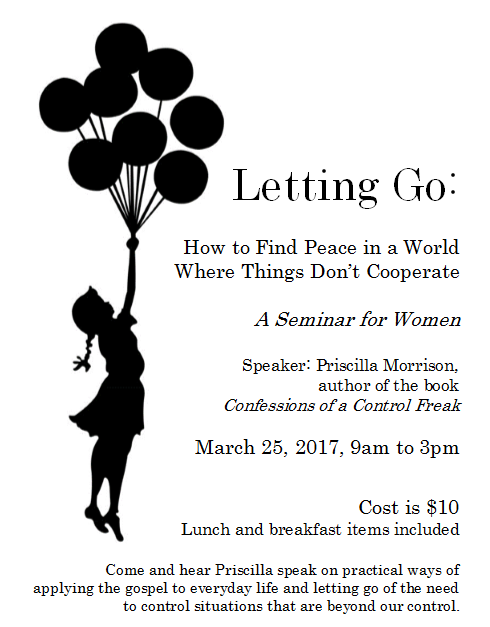 Let us know if you're planning to come to the Women's Seminar, Letting Go: How to Find Peace in a World where Things don't Cooperate. Cost is $10 per person. Hope to see you there!